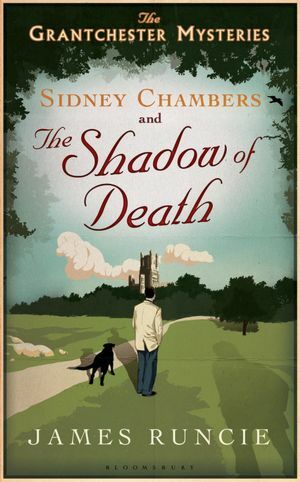 Only one book for me today: Sidney Chambers and the Shadow of Death by James Runcie. I’ve been looking forward to trying this after having seen it on so many other blogs this spring and I really can never resist the promise of a dishy vicar. I’m usually more miss than hit with mystery novels but I have my fingers crossed for this one. If nothing else, I adore the cover design: the front and back covers as well as the spine are all beautiful and the illustrations on all three sides include the image of a black labrador – definitely a promising sign. Sidney Chambers, the Vicar of Grantchester, is a thirty-two-year-old bachelor. Tall, with dark brown hair, eyes the colour of hazelnuts and a reassuringly gentle manner, Sidney is an unconventional clergyman and can go where the police cannot. Together with his roguish friend, Inspector Geordie Keating, Sidney inquires into the suspect suicide of a Cambridge solicitor, a scandalous jewellery theft at a New Year’s Eve dinner party, the unexplained death of a well-known jazz promoter and a shocking art forgery, the disclosure of which puts a close friend in danger. Sidney discovers that being a detective, like being a clergyman, means that you are never off duty. Nonetheless, he manages to find time for a keen interest in cricket, warm beer, hot jazz and the works of Tolstoy and Shakespeare – as well as a curious fondness for a German widow three years his junior. What have I picked up? Well, last year I bought Rosie Thomas’s The Kashmir Shawl. I started it, fully intending to read it, but put it to oneside. After reading The Cornish House (by Liz Fenwick) very quickly (a rather nice first novel set, as the title suggests, in Cornwall) I’ve once again turned to The Kashmir Shawl and, so far, only a few pages in, am thoroughly enjoying it. It would be wrong to say that this is an ideal summer read, as a good book is a good book in any season, but some books, like some music, are better suited to specific times of the year so yes, this is an ideal summer read. The Stone of Destiny, by Ian Hamilton. I was amazed that the extreme, almost slapstick events of the movie were actually very close to the book. I haven’t seen anything about this book before, but I love the cover – gorgeous! I love reading about vicars, too (a new interest since reading Pym). I brought home a book this week that I saw on your blog last week – A Magnificent Obsession. I’m really enjoying it, so far! Very nice blog…nice library week for you. I do like the cover of that book!